✔DURABLE MATERIALS: Made from durable ABS plastic,weather-resistant in while prefer for comfort and ease of use. ✔SWITCHES MODEL - Having four models to lock with switches,swing out only, in only, both in and out, and fully locked,easy to control your pets in and out. 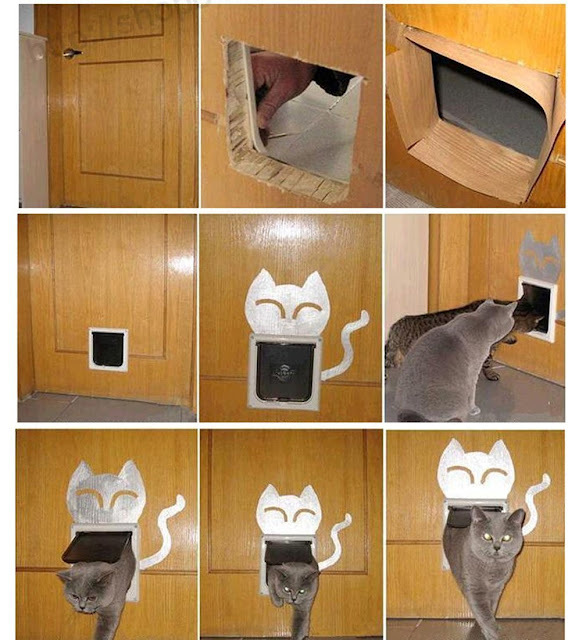 ✔STAYS HIDDEN - Fashion design to make your doors in Integrated mass,no longer had to close and open your door all the time waiting for your cats. ✔EASILY ADJUSTABLE - two parts with this item,outside for telescopic frame,ideal for hollow doors,doors brush strip eliminates noise from the door closing,get the cat freedom access to her litter box. ✔EASY INSTALL - we provides nails and mats to make you easily install in windows,doors,cupboards,cats only needs one night to success to use it!! 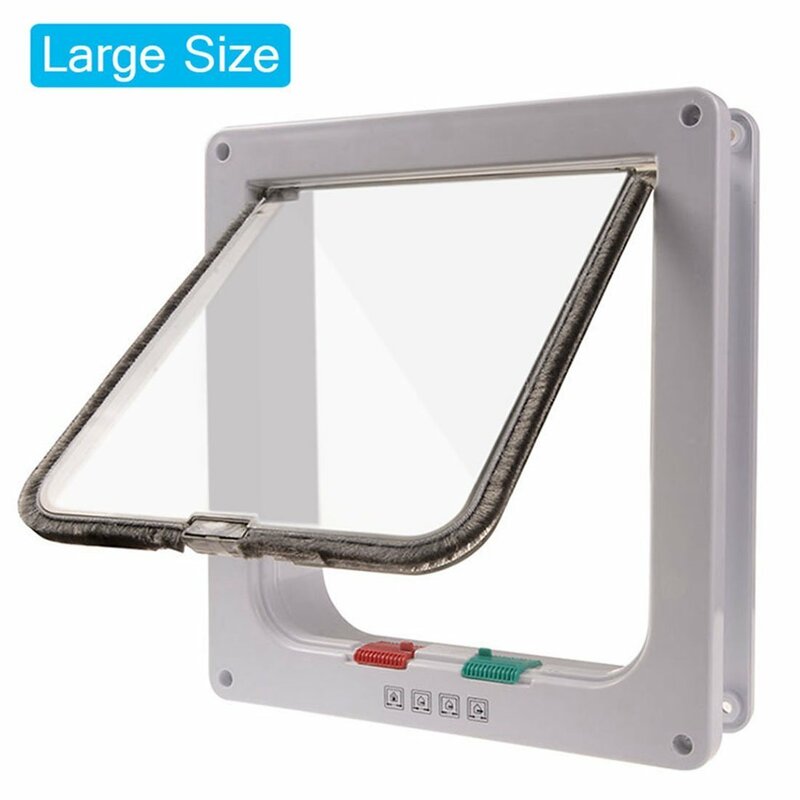 I do not like having the litter boxes in the main part of our home, so I was happy to get this 4 way locking cat door so our cats can use it to get into the laundry room without me having to leave the door open or having to open the door for them every time they want. I like that this can be installed in a piece of plywood and placed in a window, or installed in the drywall so no hole has to be made in the door if I don't want to. I like that there are options and the door is discreet and slim, it closes and locks securely and I like that our small pets can get in and out freely and easily. The 4 way locking system is very nice. I think this would make a nice addition to any home with small pets.